At International Opticians in Miami, our doctors of optometry, Dr. Saba H. Millares, and Dr. Maria Gonzalez have more than 60 years of combined experience and strongly encourage everyone to schedule routine eye examinations. In so many years of practice, an optometrist comes to see firsthand the importance of prevention and early detection of eye disease. Too often, we see new patients who have spent time suffering through symptoms while putting off a visit to an optometrist, only to be diagnosed too late for effective treatment. Although the optimal eye exam frequency varies from patient to patient depending on age and other risk factors, a good general rule of thumb is to schedule a comprehensive eye exam at least once per year. During a routine eye exam, our optometrist will first discuss with you any symptoms you might be experiencing, your medical history, current prescription medications, and your family's health history to determine a complete sketch of your health. We will then examine your eyes to evaluate visual acuity, eye function, and the health of your eye's internal and external structures. Our optometrist also might dilate your pupils in order to better inspect the internal eye structures and to perform a pressure test, looking for signs of glaucoma. We always recommend bringing a pair of sunglasses to your appointment to protect your dilated eyes on your way home or back to work. For the convenience of our patients, our Miami office also offers a complete selection of men's, women's, and children's eyeglass frames. 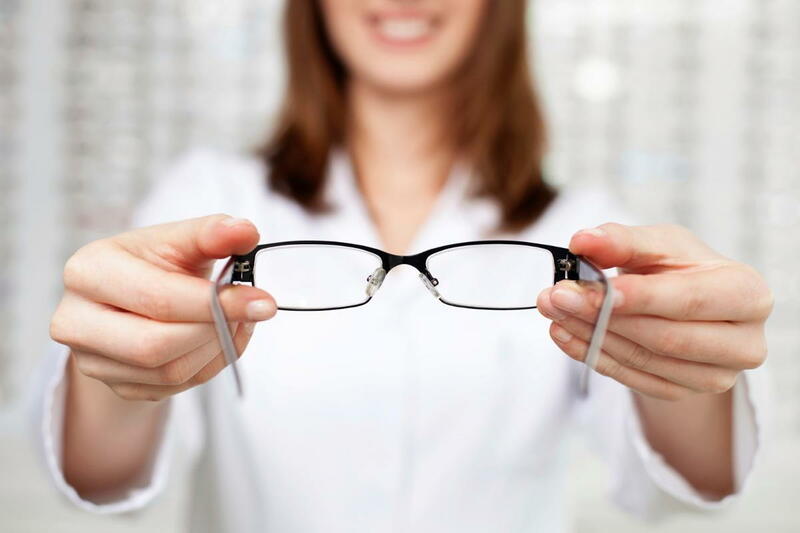 After your routine eye exam, you can select a new pair of frames to suit your own personal style and complement your features with the help of an in-office optician. If you have yet to schedule your eye exam for this year, we encourage you to contact us at (305) 854-6191 to make an appointment today. What's your favorite part of picking out new eyeglasses?